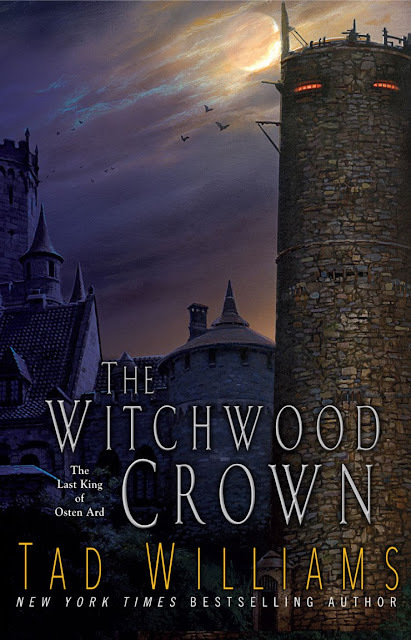 Tad Williams kindly accepted my invitation to do an interview to help promote the forthcoming The Witchwood Crown (Canada, USA, Europe) a while back. But renovations, writing the second volume in the new trilogy, and other vagaries of life have gotten in the way. Hence, considering how busy he's been these last few weeks, we've decided to split the interview into two parts. Here are his answers to the first batch of questions and the rest will be posted as soon as I receive them. - After more than two decades, how special was it to finally return to the universe of Osten Ard? Special and strange. I hadn’t really realized before how much I've forgotten of things I already wrote. I’ve occasionally had to check back into my old worlds for short stories, but usually that required only a little reading to refresh memory. What I discovered this time, with full rereads of the originals and lots and lots of research (also with the help of some readers who know the world better than I do) was how much effort and thought I had put into Osten Ard in the first place, so many years ago. Layers upon layers. So not only do I feel an almost holy obligation to treat characters well that I know readers care about, I’ve also had to be very thorough and thoughtful in expanding a place that had quite a documented existence and history already. I hope I’ve done justice to everything. I’ve had more fun doing it than I would have imagined, but you never know how people will take things, and the readers (who are both customers and curators) are always right. - After so long and with the number of novels/series you have written since TO GREEN ANGEL TOWER was published, was it difficult to get back into the swing of things? I know you had help regarding the continuity, but were there other aspects that proved more challenging than you expected? As I mentioned above, it took me a little while — I cursed the writer of such preposterously long books several times during the rereads — but I feel like I’ve been in a good mode with it. The most difficult thing was aging the familiar characters some thirty-plus years while still trying to retain the elements that (I hope) made them memorable in the first place. How do you take someone like Simon, who spends most of the early part of MST as a callow mooncalf of a youth, and show him as a competent middle-aged monarch without completely de-naturing him? It forced me to think deeply about all the characters who return from the previous books, about their lives since then, who they were, and how that has affected who they’ve become. It’s not always easy to clearly show that they are the same people — if we met our older selves when we were still young, leaving out facial resemblances, would we recognize ourselves? Some of us change quite a bit on that long journey. - How well-received has THE HEART OF WHAT WAS LOST been thus far? 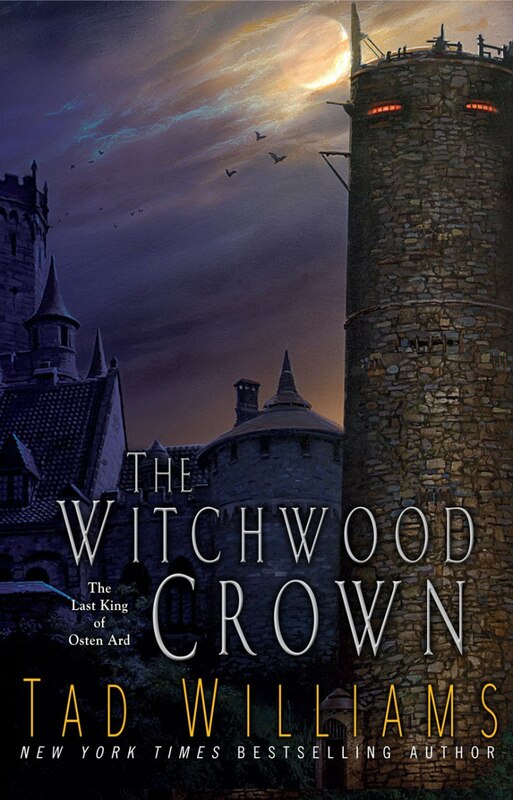 - Without giving anything away, since we don't really have a true cover blurb yet, can you give us a taste of the tale that is THE WITCHWOOD CROWN? Come on, Tad, throw us a bone! Well, Simon and Miriamele are king and queen now, so you know some of it is about the eventual succession. And I’m spending a lot more time with the Norns in these books — several of the leading characters come from that background — so you know they’re going to be an important part of the tale. And since Utuk’ku was only stunned into retreat and deep sleep at the end of the first books, you know she hasn’t got any sweeter. What else can I tell you? Old and new characters, lots of both. More background and depth on the world and its history. Monsters — oh, yeah, I’ve got monsters, old and new, including a talking giant. And more subplots than you can shake a wizardly staff at, including many locales we didn’t see the first time, and the first use of both Norns and Sithi as focal-point characters. And at last I’m going to talk about Josua and Vorzheva’s twins. Everyone assumed I included the prophecy about them in the first story as a jumping off point for a sequel. As the time elapsed since then proves, I didn’t really mean it that way at all, and simply wanted to show that magical, weird things would continue to happen in Osten Ard after MST was finished. But Fate always has the last laugh, and now I really am writing that long-expected (by everyone but me) sequel. The only thing different about writing The Witchwood Crown from my other long books is that I let more people see this one at an early stage, after what was for me a very loose first draft. Normally I assemble the first drafts so carefully (because of plot complexity) that you could read it in that form and assume it was a finished book. This time I wanted some feedback from longtime readers on what I was doing, and so I let some people in early, and listened carefully to what they had to say. Also, I’d say it’s the most plotted of any of my multi-volume stories, because I spent most of the first year just thinking about it while I was finishing the last Bobby Dollar book. And because I have all my usual research to do, plus making a complicated plot fit cleanly with the immensely complicated MST that already exists, I’ve spent more time thinking about it on a day-to-day basis than I usually have to. (And I usually spend a lot of time thinking about whatever book I’m writing anyway.) So in some ways it’s almost like I’ve been testing out a new working method, and that’s been quite a trip in and of itself. - Are you still working on A CHRONICLE IN STONE (short stories set in Osten Ard) while writing the current trilogy, or has this project been incorporated into The Last King of Osten Ard series? At this point many of the ideas that would have been in the anthology book have been used in the new series instead. If I ever write Chronicle, it will have the same framing idea but all different stories. However, I might still do it one day. - How special is it to have Michael Whelan returning to illustrate the covers of The Last King of Osten Ard series? More than almost anything else, that’s felt like returning home. I was very pleased when I heard — several of my readers heard it first at a convention and smuggled the information to me before I’d even heard it from my publishers. I’ve always felt very lucky to have Michael’s work adorning any of my books, but with this new one it feels really special and just right. - Stephen R. Donaldson once said that he waited for so long to write The Last Chronicles of Thomas Covenant because he wasn't ready and needed to grow as an author before he felt comfortable tackling such a project. Would you say that, at least to a certain extent, this was one of the reasons why it took so long for you to finally decide to write the long-awaited sequel to Memory, Sorrow, and Thorn? - Speaking on Memory, Sorrow, and Thorn, given all the noise that will be made regarding THE WITCHWOOD CROWN this coming spring, it will doubtless pique the curiosity of new readers. How would you describe the series to someone who hasn’t read those books yet? A very big epic fantasy, long (I hope) on both wonder and humor, but also full of horror and plot twists. It will be perhaps a tad less pessimistic than George’s Game of Thrones, and also with a bit more in the way of magical happenings — but not TOO many. Too much magic tends to cheapen a big fantasy for me, because I know the writer can always pull an ace out of his or her sleeve and save the day when it seems hopeless. I like to put my characters in situations that even I can’t imagine how to escape, and then have to figure it out alongside them. Great first part, Pat, looking forward to the rest. I had wondered about the Chronicle in Stone question myself, so it's nice to see an answer. Bradley P. Beaulieu contest winner!